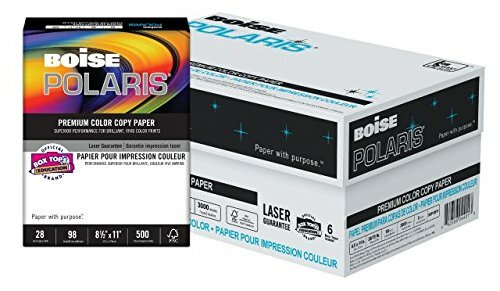 Exceptionally bright and highly versatile, you can trust Boise Polaris premium papers when your documents need to shine. Whether it's a client proposal or an important presentation, Boise Polaris premium papers ensure excellent document imaging and consistent results every time. Every Boise Polaris grade of paper looks great and delivers outstanding document production in any home or office print equipment.